The likes of Telangana CM KCR — who are in favour of a non-BJP, non-Congress front — have decided to skip Saturday’s rally or just send a representative. 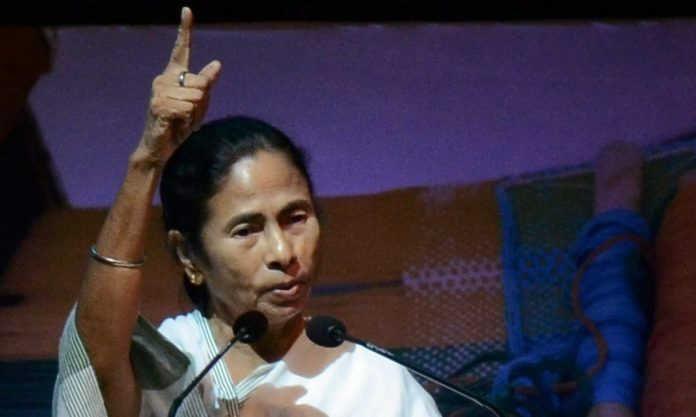 New Delhi: The rally of opposition parties being organised by West Bengal Chief Minister Mamata Banerjee in Kolkata Saturday is likely to be a show of disunity among anti-BJP forces. Many advocates of a non-BJP, non-Congress front have decided to either give it a miss, or send a representative just to mark attendance. Naveen Patnaik’s Biju Janata Dal (BJD) will not participate, said party functionaries. Telangana Chief Minister K. Chandrashekar Rao, a proponent of a federal front of regional parties, will skip the rally as he, said a party leader close to him, “does not want to share the dais with Rahul Gandhi or Chandrababu Naidu”. However, KCR’s daughter and TRS MP K. Kavitha told ThePrint that the CM would have to skip the rally as the new assembly is meeting for the first time Friday, and MLAs would be sworn in Saturday. He is likely to announce his Cabinet the next day. Meanwhile, Jagan Mohan Reddy’s YSR Congress Party was “yet to decide” on its attendance in Kolkata till Thursday evening. Congress president Rahul Gandhi and his mother Sonia Gandhi have decided to skip the rally; they’re sending the party’s leader in the Lok Sabha, Mallikarjun Kharge, instead. The Left parties will also not participate. The absence of these leaders — and there could be more additions to the list in the next 24 hours — shows how the idea of a so-called mahagathbandhan or a grand anti-BJP alliance at the national level has fizzled out even before it could take off. As it is, Saturday’s rally will hardly be a show of opposition unity or strength. The SP and the BSP, which have kept the Congress out of their alliance in Uttar Pradesh, will share the dais with the grand old party. The Congress is also unlikely to have any tie-up with the Trinamool Congress, the host in Kolkata. Apart from the two blocs led by the Congress and the BJP, comprising their state-specific alliance partners, many other players with disparate and often conflicting interests are weighing their options in the electoral sweepstakes. There is likely to be one common theme binding those sharing the dais in Kolkata — their anti-BJPism. But that is also limited to the 2019 Lok Sabha elections. Most of them broke bread with the BJP in the past and their pronounced anti-BJPism today is hardly a guarantee of their preference for the Congress after the poll results. The Kolkata rally is likely to outline the broad groupings of anti-BJP, anti-Congress parties — one propagated by KCR that wants to have nothing to do with the Congress, and the other advocated by Naidu — including those gathering in Kolkata — which wants to have nothing to do with the BJP at least until the elections. Be that as it may, the federal front, advocated by KCR, is sure to keep the BJP interested. KCR’s son K.T. Rama Rao met Jagan Mohan Reddy in Hyderabad Wednesday. KCR himself had met Odisha Chief Minister Naveen Patnaik last month. KCR’s decision to stay away from the Kolkata rally comes barely three weeks after his meeting with Banerjee. The Telangana CM has been seeking to forge a front of regional parties for the past year and even met Akhilesh Yadav of the SP, M.K. Stalin of the DMK and H.D. Deve Gowda of the JD(S), among others. But KCR has avoided meeting those who are seen to be favourably disposed towards the Congress, such as Naidu, Sharad Pawar and Sitaram Yechury. He has also kept away from Aam Aadmi Party’s Arvind Kejriwal, a critic of Prime Minister Narendra Modi. Last year, KCR had skipped the swearing-in ceremony of Karnataka chief minister H.D. Kumaraswamy, which was showcased as a platform for the coming together of anti-BJP parties. He will absent himself from a similar platform in Kolkata. As it is, there are now four blocs of parties or groups competing against one another in the Lok Sabha elections — two led by the Congress and the BJP, the third comprising regional parties that are ready to collaborate with the Congress to dislodge the BJP from power in New Delhi, and the fourth that won’t have anything to do with the Congress.